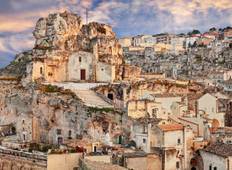 Explore a wide diversity of tours through Apulia. We have 13 tours that vary from 7 days to 13 days. With the greatest number of departures in May, this is also the most popular time of the year. "This was a wonderful trip. We visited many, many historic sites and towns, including..."
"Interesting cities each with a unique character."